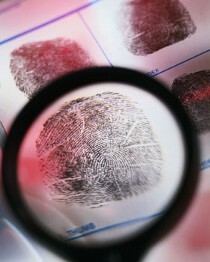 We offer fingerprinting services in Los Angeles and surrounding counties. With our Mobile Live Scan Fingerprinting services, clients had found this extremely beneficial in their demanding daily life styles. Being both certified and approved by the Federal Bureau of Investigations (FBI) and the California Department of Justice (DOJ) provides that added comfort level of security and confidentiality for our clients. We Guarantee Our Work! Although we take that extra care in striving for that perfect print the first time around, not everyone has perfect fingerprints. If your fingerprints should need to be redone due to rejection for “poor” quality, we will redo them again for free. It’s that simple! All of our California Live Scan Fingerprinting Centers have the required FBI Fingerprint Ink Card, FD-258, on site. Every staff member has received their Fingerprint Roller Certification for the State of California and continues to receives ongoing training. The process in completing your hard copy of the fingerprint card is usually between 10-15 minutes. We stand behind our work. The rolling fee is $25 per card. Contact us today, to get set-up for your next fingerprinting, 888-498-4234. You can also visit us at http://LiveScan-Fingerprinting.net.